Are you in the holiday mood yet? 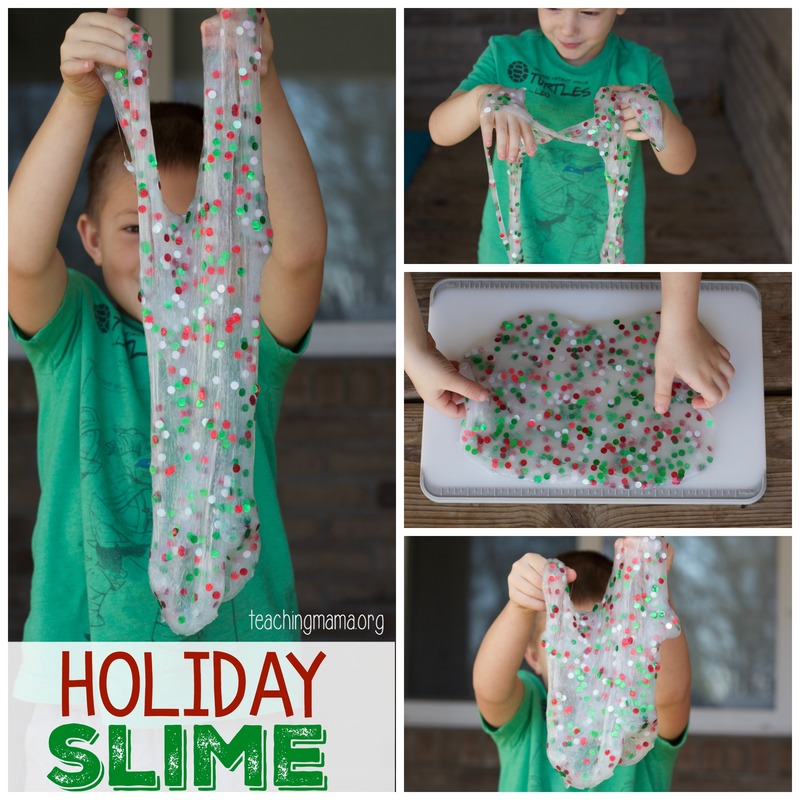 Christmas is in about a month, so you have plenty of time to make this holiday slime recipe! It just a few ingredients and it’s easy to make. Love how this turned out! I got my sequins in the Target dollar section. I got green tree shape glitter and the red round glitter. I also picked up some really pretty 3-color sequins from Hobby Lobby last year. 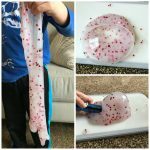 So we made 3 kinds of slime! My boys were so excited to start playing. They were begging to start playing with it! 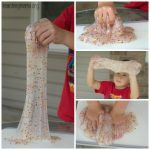 This activity is a great way to talk with your little ones about sensory features, such as how it feels soft, squishy, slimy, and cold. The sequins stays in the slime very well. The only exception is if you add too many sequins to the slime. I added in 3/4 of the container that the sequins came in from Target, so not too much! The trees do have a slightly pokey feel, so if you have a child that is sensitive to that, you may want to try a round sequins. 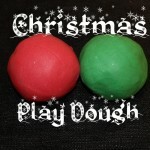 When you’re done playing, just store it in an airtight container to play with later. 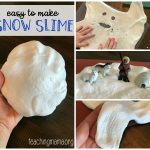 This slime will last a couple days. 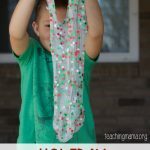 If you’re a visual learner, like me, you’ll want to check out this video on how to make it! 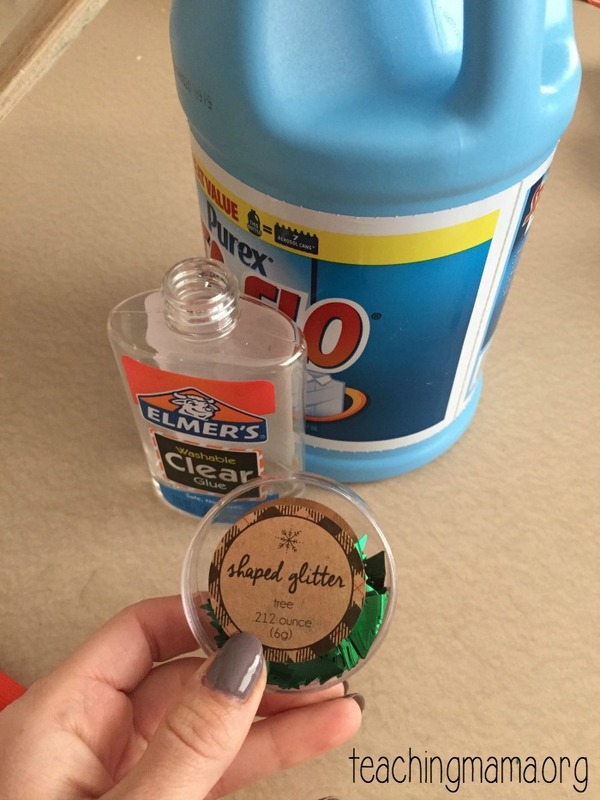 Mix the glue with the water in a bowl. Add in the glitter and stir. Slowly pour the liquid starch in while stirring. It will begin to form into slime once you add in the liquid starch. 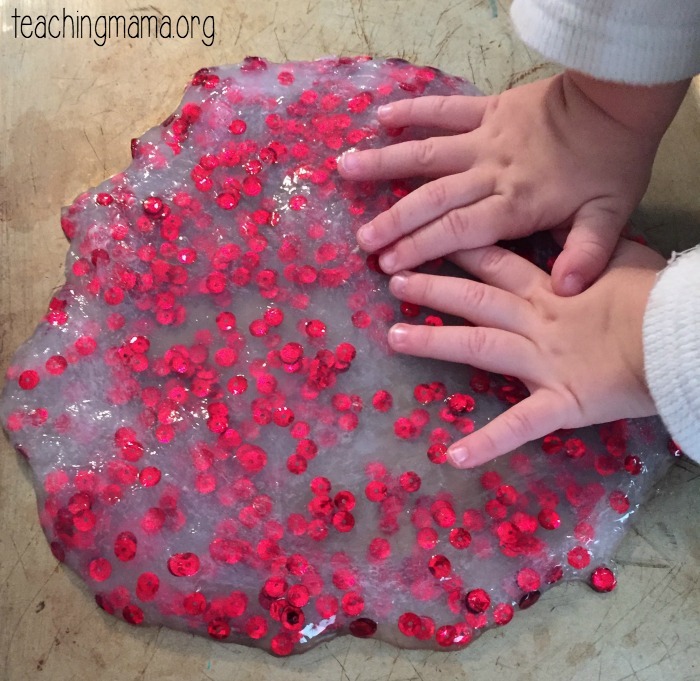 Move the slime to a mat and knead with your hands. If it's too sticky, try adding a little more liquid starch. Keeping doing this until you have a good consistency. This slime will be good for a few days. Store in an airtight container. 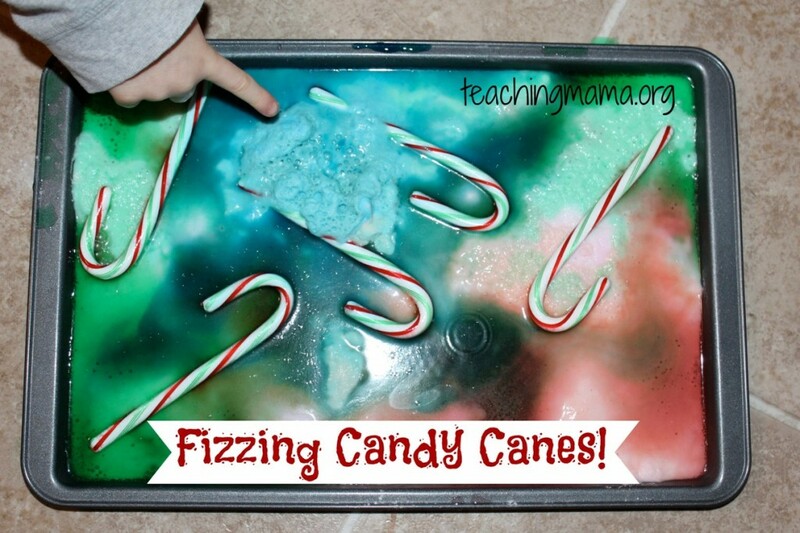 If you’re looking for another fun holiday activity, make sure to check out my fizzing candy canes experiment! 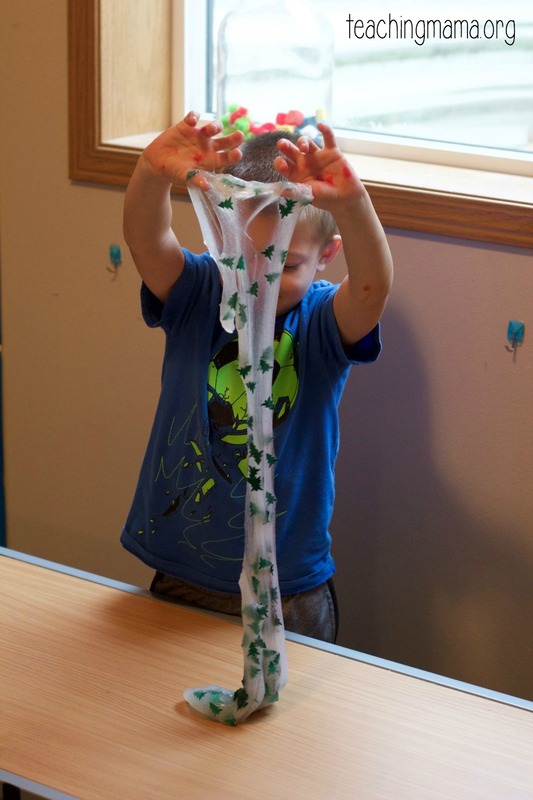 love your site for quick, easy affordable preschool ideas! Thank you so much, Karen! I’m glad it’s helpful! My granddaughter is getting ready to follow your recipe! She is excited, we shopped for items today. Thank you for making her so happy. Why don’t you post this so you can print the recipe. I don’t need pictures – just the ingredients. Thanks for the suggestion! I will try to find a way to do this. 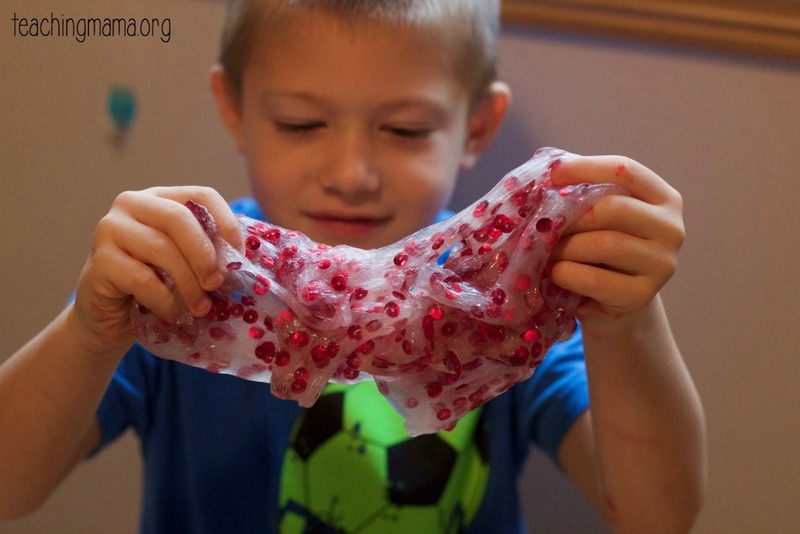 Why is slime only good for a couple of days? I’ve just noticed the consistency changes after a couple days. It just isn’t as good and can sometimes break apart. Thanks for the feedback! I am glad your class loved it and surprised it took that much Staflo! In our experience, we’ve just used a half cup and maybe a tablespoon more if it was sticky. But I appreciate you sharing how it went! 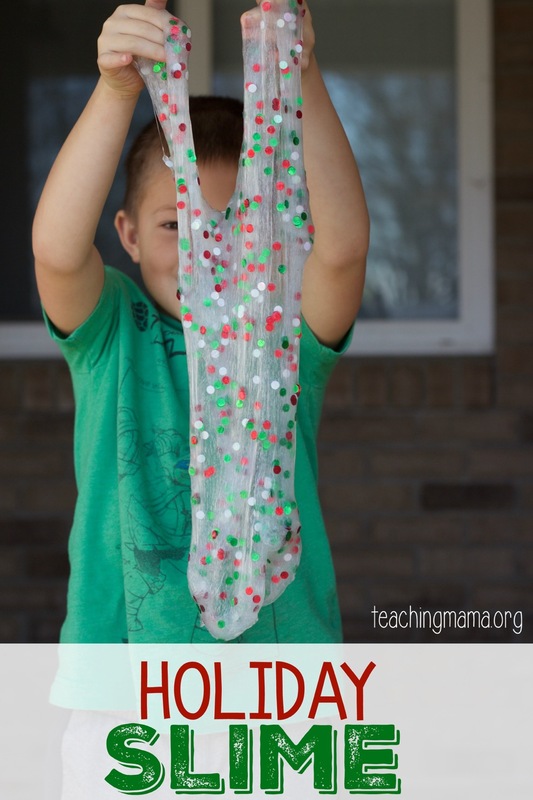 Just did this craft with 24 3rd graders at their holiday party— it was a huge hit!